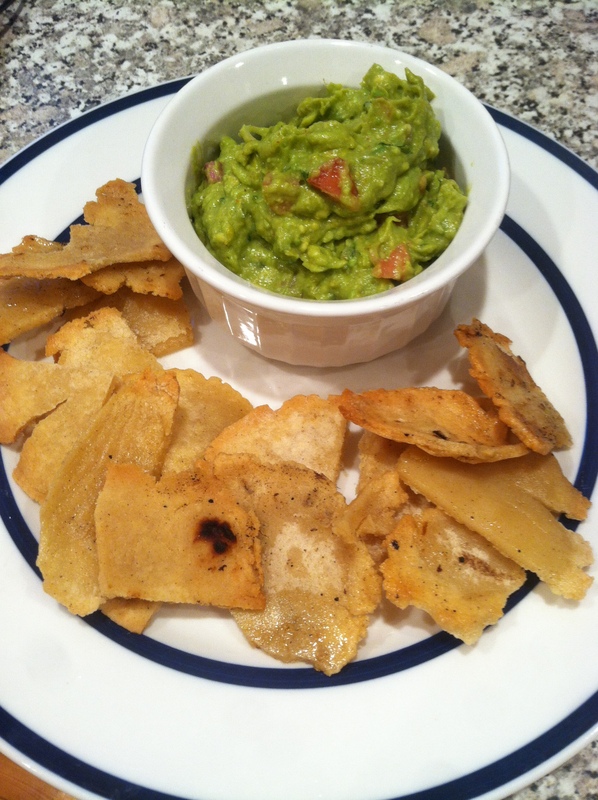 If there is one food that I can’t get enough of, it’s got to be Guacamole! And now that avocado season is finally upon us, I just can’t stop making it to go on EVERYTHING! Don’t get me wrong, I love avocados plain, or simply smashed with some garlic, lemon juice and onion. 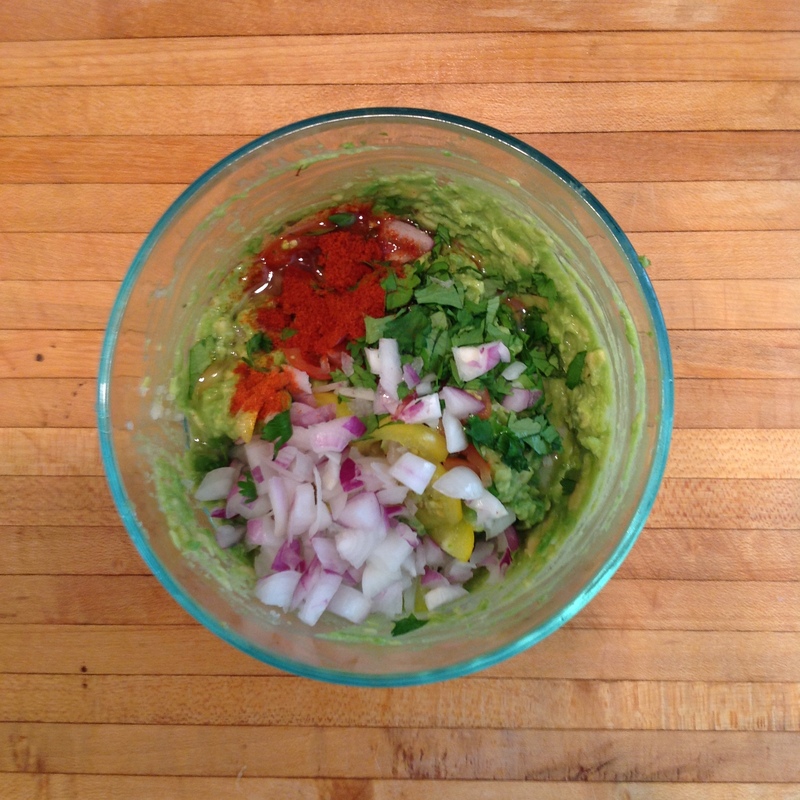 But when I need a go to dip to put on tacos, burgers, or chips, guac is my fave. 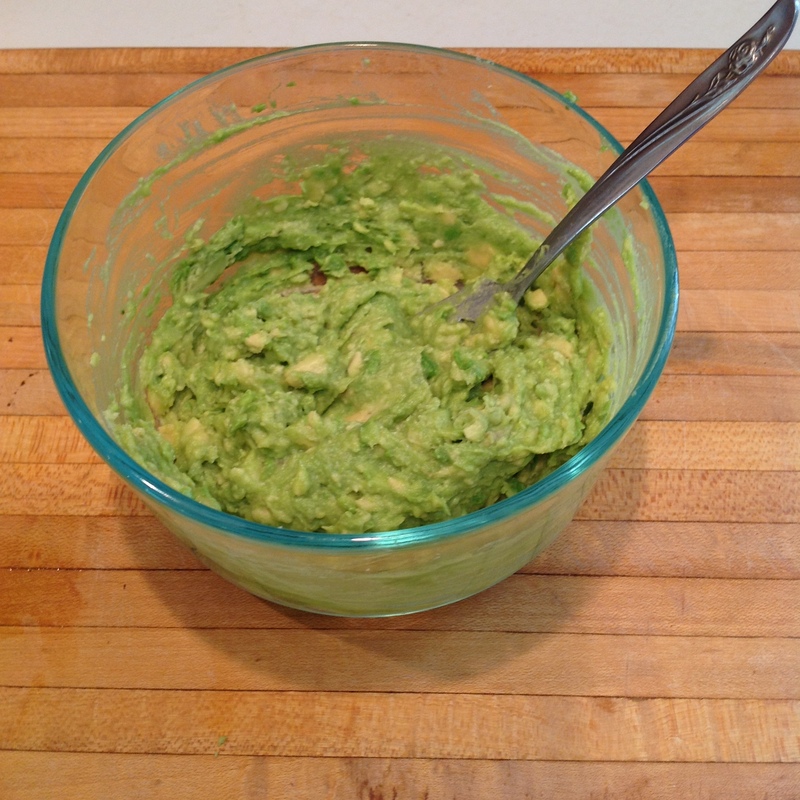 If you’re like me and you want a simple and easy guacamole recipe, this is it! 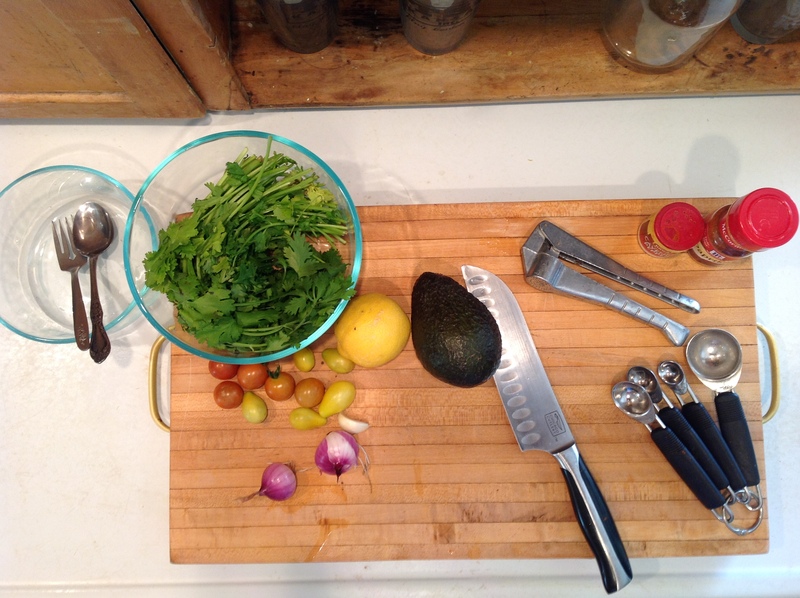 And all of these ingredients are relatively easy to find with minimal packaging and waste! 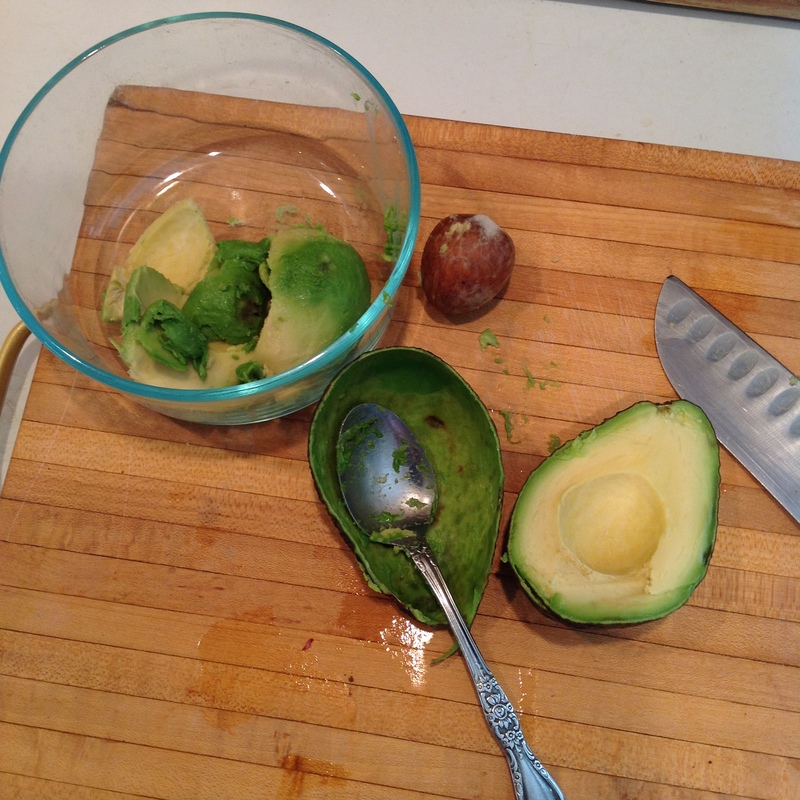 Cut your avocado in half and remove the pit, then spoon out into your bowl. Take your fork and mash the avocado until most of the lumps are gone. Add the rest of the ingredients and mix. Simple as that. I use a garlic press (pictured above) instead of chopping my garlic by hand, that way I don’t ever get any surprise garlic chunks! I found mine for less than $1 at a second hand store. Be sure to compost your veggie scraps, and there you have it! Fresh guacamole. Pair it with some homemade tortilla chips and you have the perfect zero waste snack. The great thing about this recipe is that you can tweak it to fit any palate. These are just the general guidelines I follow, but I change it all the time based on my mood and what’s still in my fridge. 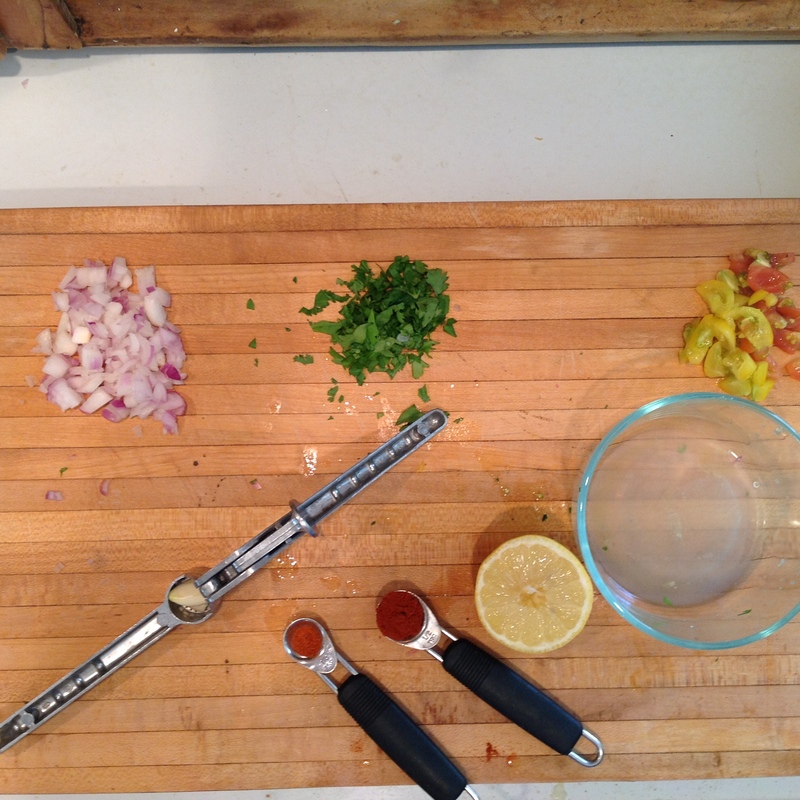 For example, I only add tomato when I have it fresh from the garden and sometimes I only add ¼ teaspoon of paprika. I do not currently have a tutorial on them, but I just buy a bag of masa de harina and follow the instructions. I hope that helps.